A good cover letter is not only limited to employment use, it’s a very useful document that can even help you land the internship that you have planned, help you get scholarships, get that financial investment or loan approved, and so much more. It is a short yet powerful document that can help you achieve the purpose, as mentioned, regardless of it being for employment, undergraduate and graduate admissions, business plan proposal, financial loan approval, and so on. Since it is a useful and powerful document, you must not take for granted the time you spend on how to perfectly write it. 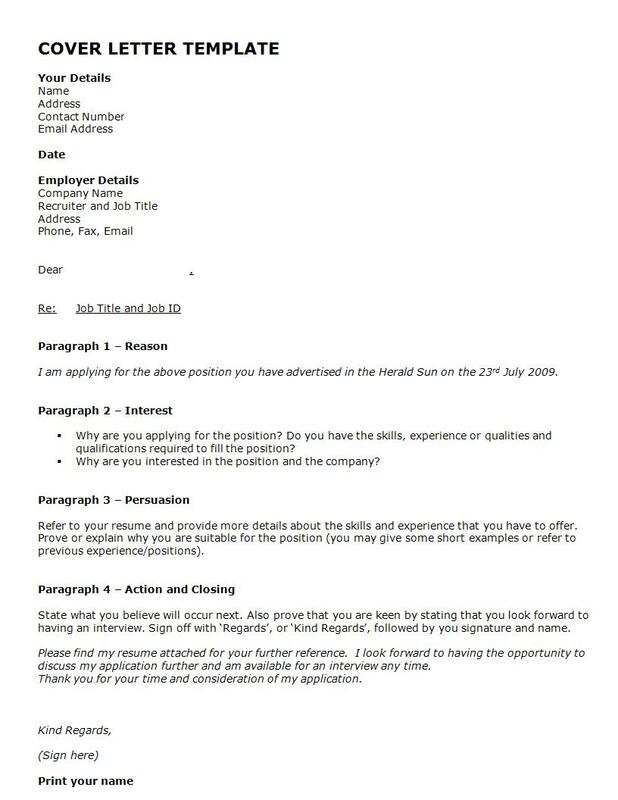 As the name would imply, a cover letter is a covering document you attach together with your resume or CV. It swiftly introduces you, explains your purpose for writing, highlights a few of your experiences or skills, and requests an opportunity to personally meet with the potential employer, dean, or investor. It contains factual information about you as the applicant, and at the same time a call-to-action, i.e., a schedule to meet with the receiver. It generally helps you initiate a conversation with your receiver, thus, helping get your point across clearly and efficiently. In addition, your cover letter is one of your way of making a good first impression. As they say, a good first impression counts, that is why your cover letter must be cohesively written and factual. The information you include in your cover letter must directly support your claim of being a qualified candidate for a job, scholarship, internship, and other business purposes. 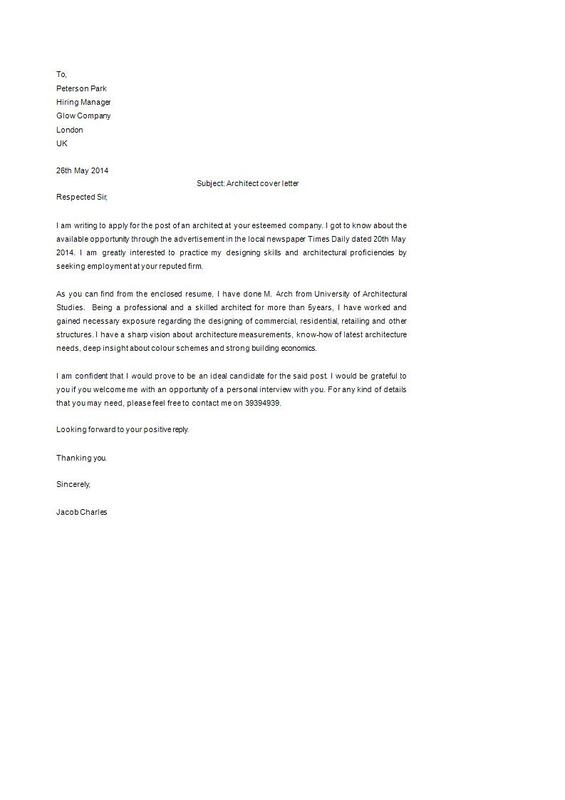 As mentioned before, a cover letter helps you set the tone right for your application. It helps you translate the message you want to relay to your receiver in a professional and courteous manner. It states the purpose of why you have sent a letter in the first place and overall, help you achieve your goal with a call to action on the last part of the letter. 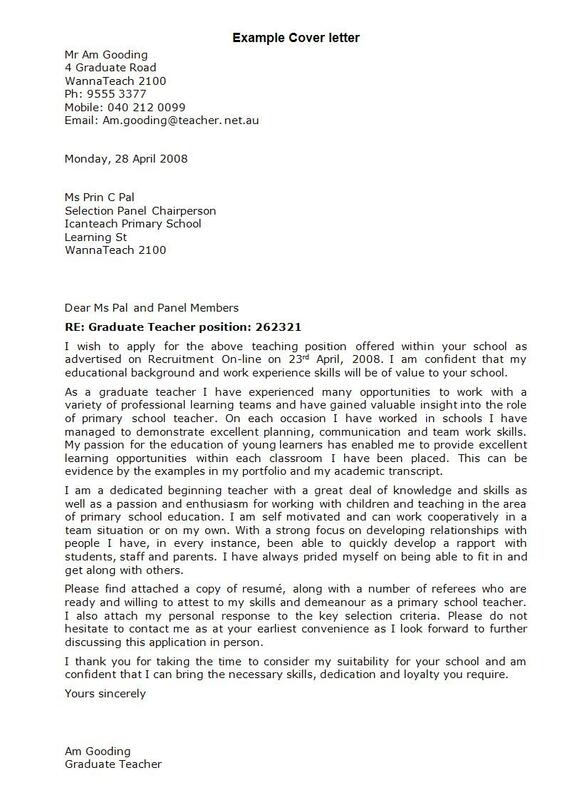 A cover letter is the letter you attach to your resume or CV. So long as the employer does not explicitly mention to not attach one in your application, it is always a great advantage to include one. You may think that a cover letter is just another letter you have to thoroughly think about and adds another pressure in your application, but truth be told, your cover letter helps you get the odds in your favor. Your cover letter will briefly yet clearly explain to the receiver the purpose why you sent a letter as well as explaining why you are the best candidate, say, for a job application or college admission. Simply put, your cover letter introduces you to your reader. It gives basic information about you that makes you the best option for employment, undergrad or graduate studies admission, scholarship, and internship. The fact that a resume or CV are only limited to short, direct phrases means that your cover letter must do what the resume or CV can’t do—communicate. If used in a business proposal, it helps you introduce the main goal of your proposal as well as your pitch. One of the most important thing your cover letter does is to let you specifically highlight the skills and qualifications that you based on what has been listed in the job description. Since the resume or CV consists of your skills in a bullet format, meaning all your similar skills are grouped into one category, there is a big tendency of having some of your best skills and qualifications not having enough spotlight to encourage the employer or admission committee. Same goes with cover letters used in business transactions, it helps you put the spotlight on the purpose of your proposal. 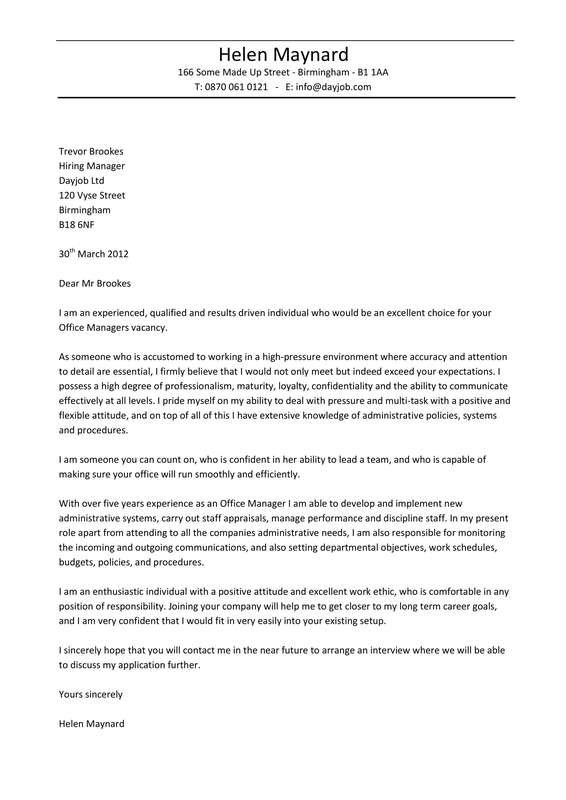 As you may have read, a cover letter is an essential part of your whole application process. 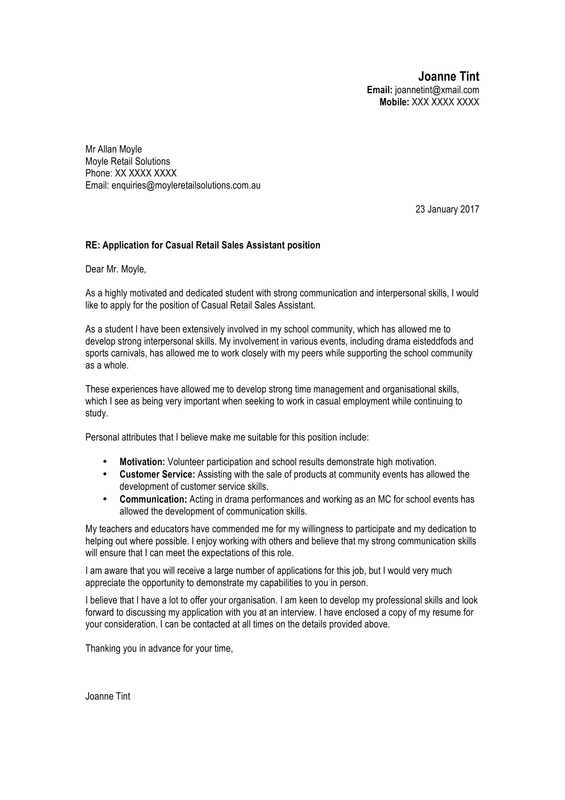 Regardless of your main purpose, one fact remains: a cover letter helps you introduce yourself, explain your purpose, highlight significant and relevant qualifications and skills; lastly, it helps you set the tone of the process. Aside from all of that, it is your way to encourage the reader to have a personal discussion regarding your purpose as you write in the concluding paragraph of your intent and interest to meeting with them. What is my purpose or main objective? These questions are from Ronald L. Kraunich, William J. Bauis. 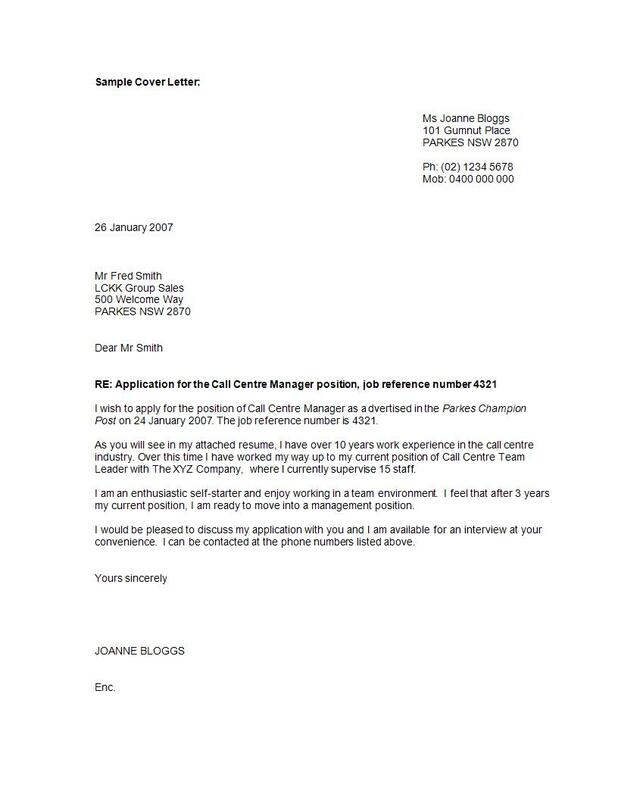 High Impact Resumes & Letters. Virginia Beach, VA: Impact Publications, 1982. To start your letter, you must include your receiver’s contact details as well as yours. The return address that is usually indicated on the top left corner of your paper contains your contact information. After that, you should also include the date when you have written the letter. The inside address then follows; it contains the name, company address as well as other contact details of the receiver. 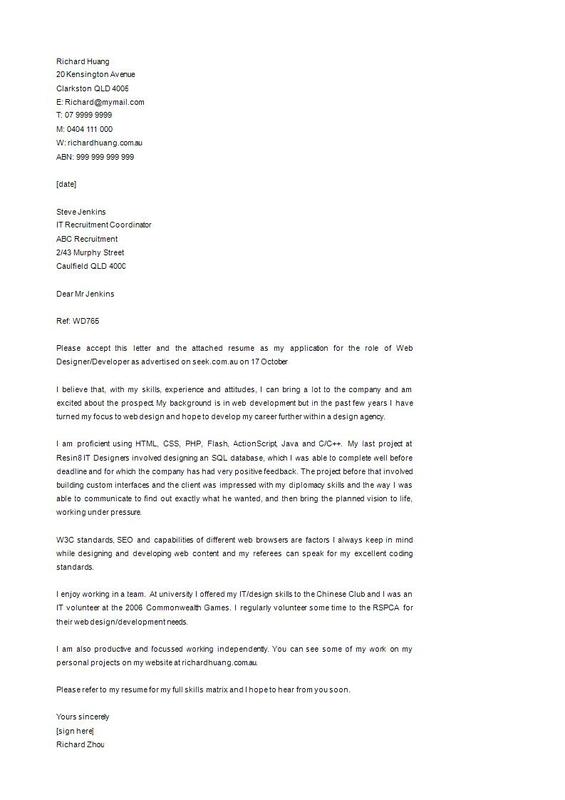 There are various ways you can format your return and inside address especially since this is a professional letter. 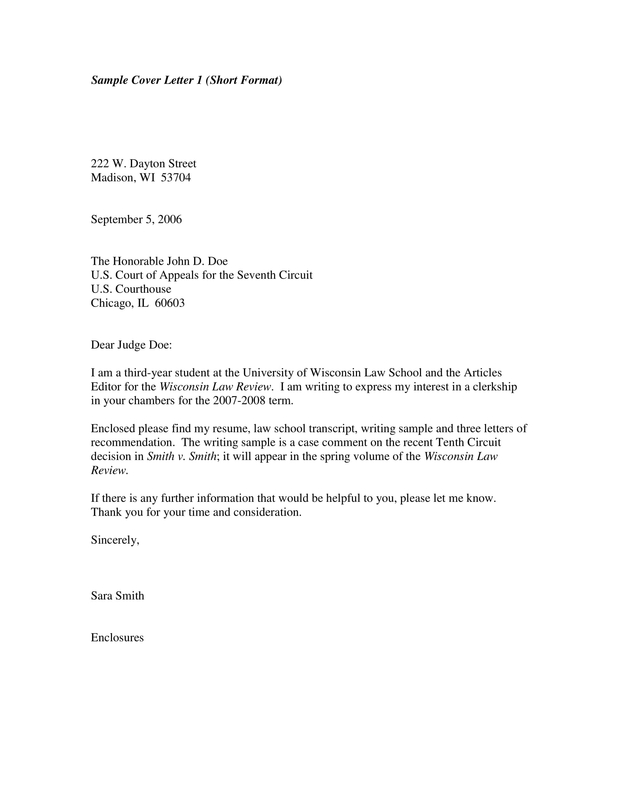 You may see 10+ Professional Letter Format Examples – PDF to know more. This is where finding to who you are writing matters most since you have to directly address him/her in this part of your letter. 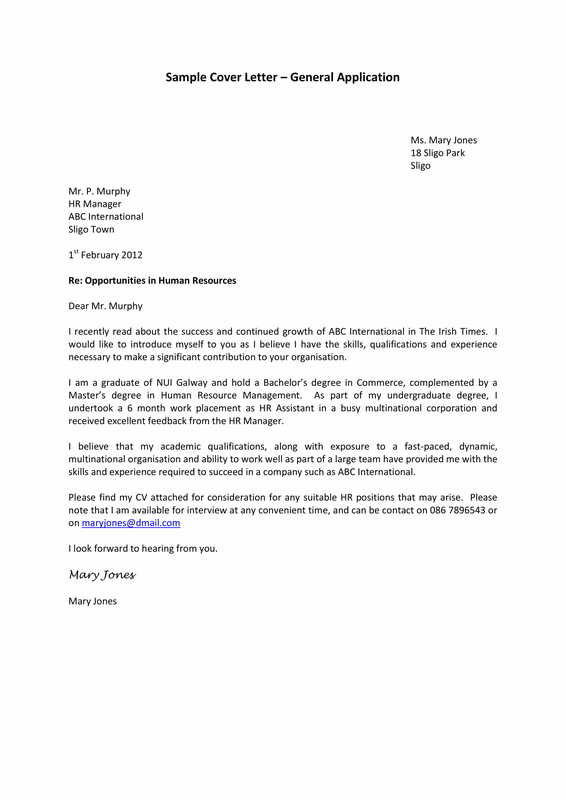 In the salutation part of your letter, you have to gather information regarding the reader of your letter, most commonly the HR Manager if you are applying for a job. You have to put yourself in his/her shoes; if so, do you want to be addressed as Mr., Ms., Mrs., or with your professional title? You salutation must also be courteous, therefore, it must begin with the courtesy Dear; however, if you have no information as to who your direct reader is, you can use the general salutation To Whom It May Concern. As for the introduction of the body of your letter, you must first begin by introducing yourself along with the position you are applying for. This should be the first paragraph that your reader will have to read on your cover letter. It must directly state the vacancy that you are applying for as well as where you have found the information regarding the vacancy. The rest of the paragraph should directly respond to the description in the job positing such as your previous job experiences, skills, and abilities that will allow you to meet the company’s needs. Simply put, you must sell yourself and make the impression that you are the best candidate for the job. You must be able to convince the reader that you are the most capable and qualified candidate to fulfill what has been stated in the job posting. The best way to do it is to include the actual words and/or phrases that have been used in the job description. In addition, you can also research about what the company does and incorporate it in your cover letter as your pitch. 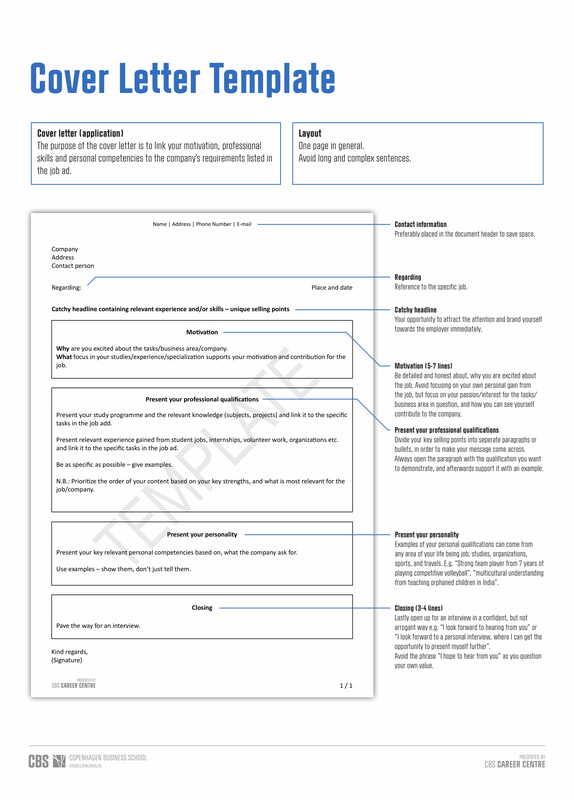 Lastly, use the remaining paragraph to explain how you would fit into the scheme of things in the company and how you will be able to push the company forward with the goals and objectives they want to achieve. Your conclusion is your chance to have a “call to action.” This means you end your letter stating your interest for a personal discussion and for a bolder move, you can schedule a date for an interview yourself. You can also let this paragraph help them know that you will be in contact after how many weeks should you now hear from them. Lastly, do not forget to thank your receiver for taking time to read your cover letter and resume or CV. To end the letter, use the appropriate complimentary close along with your signature and signature line that consists of your name and contact number. We hope you have learned valuable lessons about official cover letters with this guide, and may you find the examples that have been given useful.